Trusted by over 400,000 businesses, Sage Business Cloud will change the way you do business forever. Sage 50cloud Accounts is the perfect choice if you want the power and productivity of desktop accounting software, with the freedom and security of the cloud. A complete view of your business finances in one place. Sage 50cloud is the Sage 50 Accounts desktop software you know and trust, with the added power of Microsoft Office 365 integration. Great new features and apps mean you can work with your accounts data in a way that suits you. 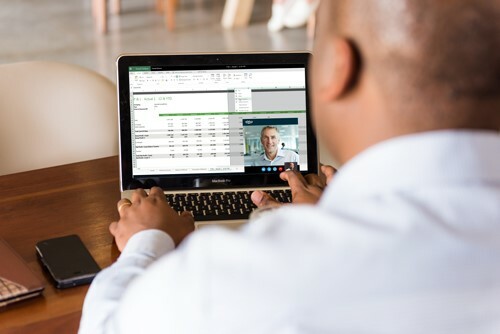 Check your business performance and cash position at a glance, wherever you are, through Office 365.
Business contacts at your fingertips, work with real-time Sage Accounts customer and supplier information in Outlook. Post invoices and expenses from your mobile and store digital copies in the cloud. Keep your finger on the pulse of your business using powerful Excel reporting. Automatically sync your backups with OneDrive and receive email notifications. Go paperless. Store documents you send, such as invoices and statements, automatically to Microsoft OneDrive. To get Sage 50cloud Accounts now, contact our Sales team, or leave your details and we’ll call you back. 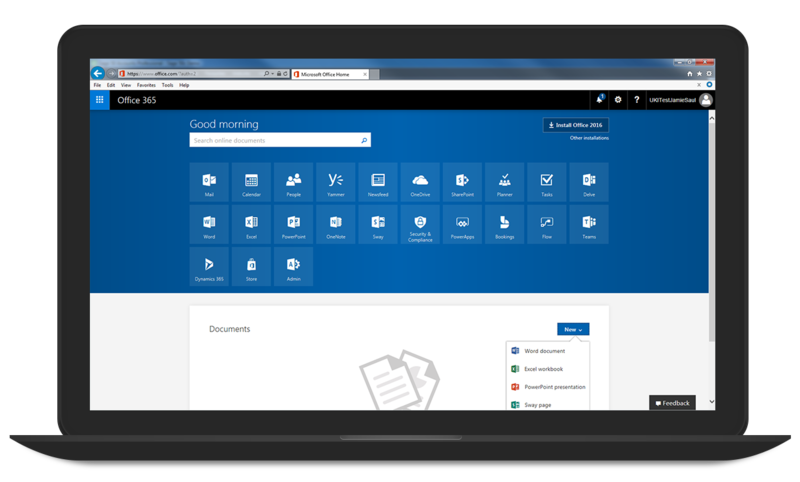 It’s easy to install and upload your data to Microsoft Office 365. You can even install over your existing Sage Accounts. Safely store and share files online in Microsoft OneDrive, with enterprise-grade security. Latest versions of your Office applications on your computer, tablet and mobile, so you're never tied to the office. Messaging, voice calls and video calls, both in and out of the office with Skype for Business. Easy file sharing and team collaboration tools, including the ability to edit documents with others in real time. A 50 GB mailbox per user, accessible from any device. The Sage 50 software has a very simple process for the installation of set up. The software has an in-built help feature. With Sage 50 Accounting software, you can easily manage your accounts, keep your bank records updated, and understand your cash position. For businesses that trade overseas, a Foreign Trade module can be integrated to help multiple currencies. 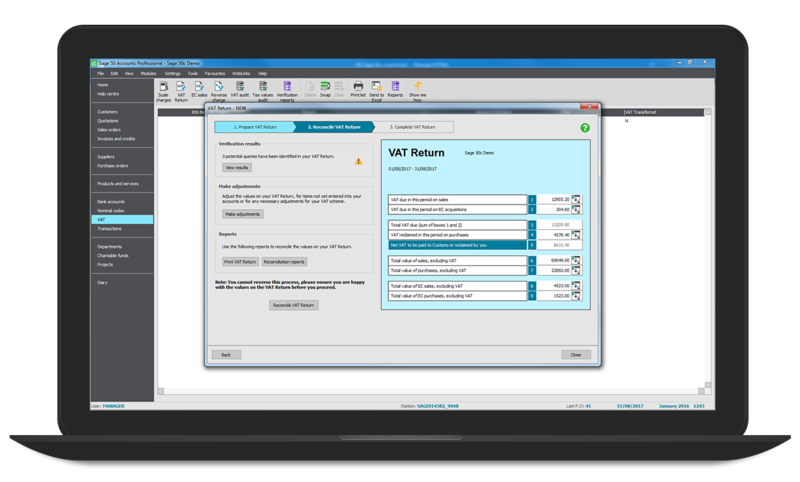 The Sage 50 Accounts software can make VAT returns seem easy. You can now accurately calculate, verify, and submit your VAT returns with this software. The Sage 50 software lets you store all your product and service information, raise quotes and invoices, and record sales in a seamless and convenient manner. There is a selection of reports that is available that can help you better analyze your business, allowing you to make well-informed decisions. 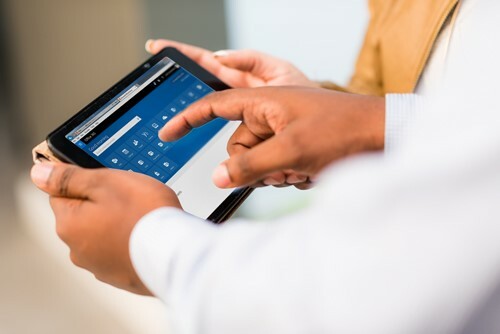 Ideal for small and medium-sized enterprises, the Sage 50 Accounts Plus is an easy to set up and use accounts software with all the features of the Sage 50 Accounts, but with the added benefit of the Bill of Materials, project costing, custom pricing, and advanced stock control. Why choose Sage 50 Accounts Plus? The software is easy to install and to customize as per your needs. It also offers extra company and user licenses for midsized enterprises. Offering complete control over the finances of your business. The features of the Sage 50 Accounts Plus allow easy entering of transactions and reconciliation with your bank accounts. 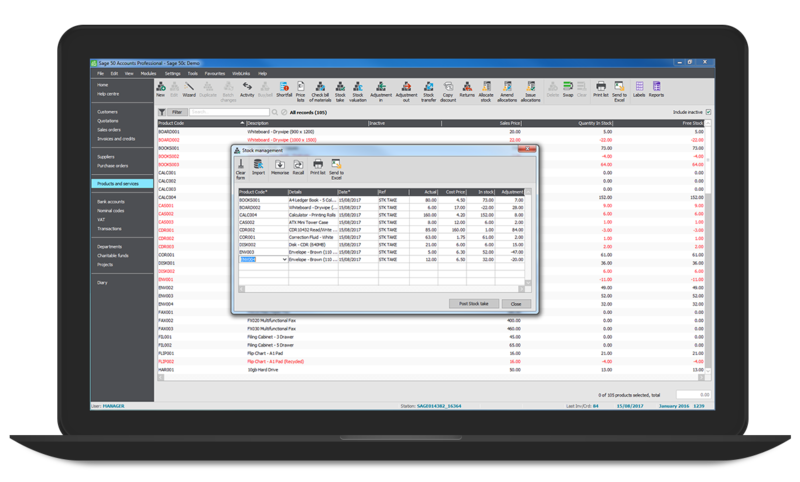 The Foreign Trader module offers management of finances in multiple currencies. The Sage 50 Accounts Plus can easily record, calculate, and verify the returns on your VAT before letting you submit them directly to HMRC. The advanced stock control and Bill of Materials ensures that you have everything that you need to manage your customers, suppliers, and sales. You can use the available range of customizable reports to keep track of exactly how your business is performing. The Sage 50 Accounts Professional is the ideal software solution for small to medium-sized businesses that need to process large volumes of financial data or need to trade in foreign currency. The Sage 50 Accounts Professional has all the features of the Sage 50 Accounts Plus, but also offers the added benefit of added extras of sales and processing, with an option of up to 10 users. Why choose Sage 50 Accounts Professional? The Sage 50 Accounts Professional is easy to set up and then customize based on the needs of the business. The option of extra company and user licenses makes the system adaptable to growing businesses. With the Sage 50 Accounts Professional, you can easily keep track of your cash flow, and manage your transactions in multiple foreign currencies. TheSage 50 Accounts Professional automatically calculates and verifies your VAT returns, and you can submit them directly to HMRC from your software. Manage customers, sales and stock. The Sage 50 Accounts Professional provides you with advanced stock control & Bill of Materials that can help ensure that everything that you need to manage your suppliers, customers, and sales is within your reach. There is a wide range of customizable reports available to help analyze and understand the performance and profitability of the business.